Online travel companies lost their battle to prevent paying more Maryland sales tax on the House floor Wednesday, a fight they had already lost in the Senate. Having been unable to persuade the lawmakers on the first floor of the State House that this is a new tax on their hotel booking services, they are now taking their case to Gov. 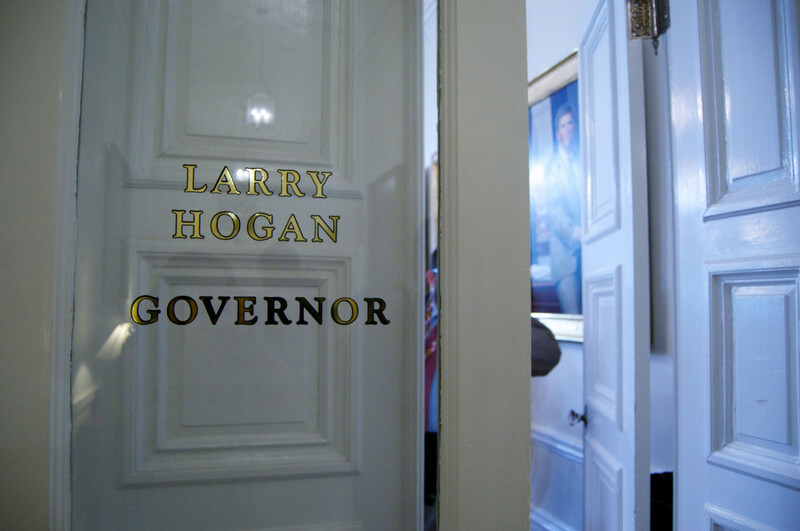 Larry Hogan on the second floor. A spokesman for the governor said he has yet to take a position on the legislation. Both sides have strong arguments and important constituencies. To help their cause, the Travel Technology Association and Expedia have hired five prominent Annapolis lobbying firms and a Baltimore public affairs shop, adding several of the firms and their lobbyists just in the past week. The insider joke is that the only employees these international Internet travel firms have in Maryland are the more than a dozen lobbyists registered to represent them. But the big guys have a lot of protective local cover from Republican legislators and 226 local travel agencies that say the bill to collect more sales tax from online hotel bookings will also cost local businesses in jobs and money. A tourism tax or just back taxes? “This is a tourism tax,” said House Minority Whip Kathy Szeliga, Baltimore and Harford, who fought unsuccessfully Tuesday to exempt travel agency fees from the mix. No, say Democrats like Del. Anne Healey, D-Prince George’s, who called this a “clarification” of the sales tax. The problem for the online companies is that under their agreements with hotel chains, they charge the same rates as the hotels, including the same charge labeled “taxes and fees.” But they only pay the hotel a discounted rate and the sales tax on that rate, keeping the rest of the money as a service fee, including what consumers see as the sales tax. “If I’m paying the 6% tax, I want that tax going to Maryland,” said Del. Kathleen Dumais. “These OTCs [online travel companies] are not paying the taxes they owe,” said Del. Eric Luedtke, D-Montgomery. Opposing the travel companies are Marriott International, the worldwide hospitality brand founded and headquartered in Bethesda, as well as the Maryland Hotel and Lodging Association. They too have their own lobbyists working the bill, with leading Democratic legislators as their allies. Marriott has said it is looking to move its headquarters nearer to a Metro stop, and that includes locations in Virginia. Marriott and other hotels see the online sites as necessary evils competing for the same travel dollar and undercutting their profit margins. Toward the end of the debate, Republican Del. Pat McDonough congratulated the Democrats for having prevented the legislature from escaping a session without a tax increase. What will Gov. Hogan do? Will he side with the online travel sites, his Republican allies in the General Assembly, and the 226 mostly small travel firms in Maryland with about 1,100 employees? Or will he side with one of the last remaining Fortune 500 firms in Maryland with about 2,000 employees? If Hogan does decide this is a new tax, thus violating his anti-tax pledges, and vetoes the bills, legislators probably do not have enough votes to override the veto. On Wednesday, the House version of the travel tax, HB1065, passed 83-56, and the Senate version, SB190, passed the House, 84-56, with six Democrats joining the 50 Republicans to oppose the measures. It takes at least 85 votes to override a veto. But what will it take to keep Marriott in Maryland?